Digital Printing opened up a whole new world andthere has been no looking back ever since. 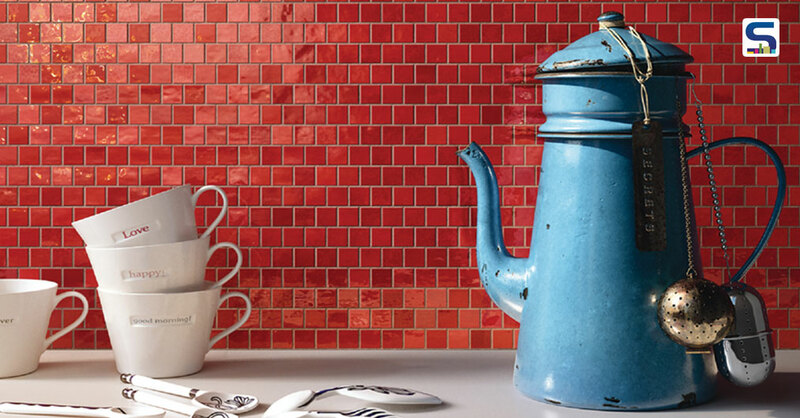 Ceramic Tiles today are being used in diverse range of projects and creating signature interiors. They are preferred not just for their creative abilities but also come with a series of features linked to sustainability and aesthetic flexibility. In this issue of SURFACES REPORTER, we take you through Tiles as a product from the grand perspective of ‘DESIGN’. We takeyou through new design trends and innovations that are keeping designers mesmerized this year. The second part of this story will cover materials & thoughts from the ‘INDUSTRY’s’ perspective. Please write to press@surfaces.in for sharing your feedback or comments on the story. Tiles of today come with a wide range of applications. There is a huge potential in the Indian market owing to its still low capita consumption as compared to other countries. Tiles in India are still used mostly indoors while globally tiles are extensively used outdoors in paving, cladding, and external facades. Slowly steadily, India is waking up to these possibilities as well as there is a greater demand for designs which are global and in trend in terms of manufacturing, product design and technology -- India is gaining ground at a quick pace. Wooden look, Geometric shapes, Fabric, Bricks, Larger formats in Natural finishes and Slimmer tiles in various patterns and shapes have been ruling the charts for a while now. Taking a quick look at the current trends and prevalent styles. Larger formats in various natural finishes continue to be popular amongst most Tile Brands in India. Another wonderful comeback is being seen by Terrazzo Inspired designs in various colors for both walls and floors. Wood is back in business and definitely here to stay for a really long time. Paving Tiles are no longer drab and boring, brands are experimenting with varied shapes, formats and designs. Exterior grade tiles for façades, swimming pool etc. From the various styles in trend, one that is likely to stand out is the metallic series in Tiles. As per Ronit Khadilkar, Executive Director, Mirage Ceramics, the next big thing in the tile markets are the gold, silver and rose-gold finished metallic tiles. They incorporate state-of-the-art technology and require highly skilled manpower to manufacture. But they are sure to give a space a unique and attractive get up which will mesmerize everyone. As per Samir Mody, Director, C Tribhovandas & Co, for Indoor speaces, small size with 3D effects and bright colours as well as Wall paper type design on large type surface will be popular. And for outdoor use Paver Tiles, Roof Tiles, Terrace Tiles, are in demand. “The focus continues to be on larger formats and slimmer tiles in FY18. With more number of factories going for these categories and the overall pricing coming within the reach of retail customers, the acceptance for these products will only increase in the domestic markets” says Parth Shah, Cengres Tiles. He further adds that these products (large format and slim tiles) have gained good traction in export markets at present. However, it is taking time to get acceptance in local market due to factors like lack of adequate facilities for handling, storage and delivery at retail customer level and higher pricing compared to similar products available in the market. The pliable nature of ceramics, hardened in subsequent processes, confers it all the possibilities for altering the form and technology of this material. That makes it competitive to any other building material because of its durability and its low or negligible need of maintenance. Lets look at some of the innovations which holds great promise for the tiles product. By continuing to reduce the thickness of ceramic tiles, a 50% reduction in the raw materials needed to manufacture them has been achieved, together with an ensuing drop in energy consumption, fewer CO2 emissions, and the generation of less waste at the end of the tiles’ useful lives. Ceramic tiles improve the performance of ventilated façades. Thanks to their properties, ceramic tiles improve on the performance of ventilated façades due to their capacity to provide waterproof protection and to insulate the building from outdoor temperatures, thus ensuring energy savings. What is more, with the availability of new anchorage systems in a variety of alternative options (colours, finishes and formats), ceramic ventilated façades are a widely used solution in sustainable building. Ceramic materials are also starting to play a role in the renewable energy sector, with the development of a system in which photovoltaic cells can be integrated into tiled façades. In this way, tiles can be used to generate solar-powered electricity and solar panels can be integrated into the structure of buildings, using these ceramic materials as part of the roof or combining their function as energy generators with other inherent properties, like their capacity to act as sound insulation. LIFECERAM is researching to achieve its zero waste goal by recycling its manufacturing wastes and turning them into more tiles and material for paving. The idea was to take the wastes from the manufacturing process and turn them into a 100% recycled urban paving productresulting in zero waste. Their two main objectives are to develop a new type of ceramic tile that incorporates manufacturing wastes (whether from ceramic and glass factories as well as power plants) into the body and glaze and may be used for outdoor paving, and to design a corresponding manufacturing process of these tiles that is highly sustainable and capable of recycling all ceramic wastes. From self-cleaning ceramic tiles to others capable of eliminating NOx. Self-cleaning tile surfaces have been developed that help make big savings on the water and detergents needed to clean and care for them. This has been achieved thanks to the use of nanoparticles, which give the tiles photocatalytic properties. That is, they react with the sun’s ultra-violet rays, bringing about a process of oxidation that destroys organic material in contact with the surface.